These Single Wing Self-Stick Lineco Easel Backs are a favorite with art material, craft, hobby, and scrapbook enthusiasts. 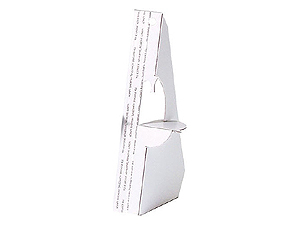 Easel Backs are attractive, sturdy, and very easy to use for a multitude of creative projects. Application is fast and simple - Just peel strip to expose adhesive, center on Sign Board (sold separately) and press firmly. No messy glue!